Cylindrical canisters are 10-25 liters volume and have irradiated pull out plastic closures 42 mm and 57 mm BeriCap type. 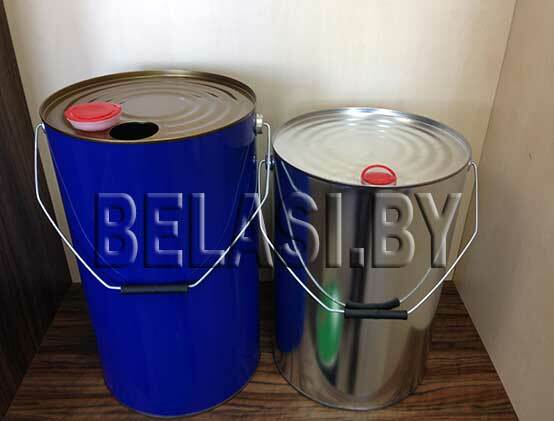 Cylindrical canisters are used for packaging paint and varnish and chemical products (varnishes, solvents, glue, oils, diesel fuel, etc.). Canisters are equipped with irradiated pull out plastic closures 42 mm and 57 mm BeriCap type. For the manufacturing is used tinplate thickness 0.36 mm. Can be applied multi-color lithography. It’s possible to manufacture canisters of other sizes that are not specified. Cylindrical canisters can be painted in any color according to RAL.